These sky-high savory pumpkin sage biscuits can be made in a flash with simple pantry ingredients and fresh sage. 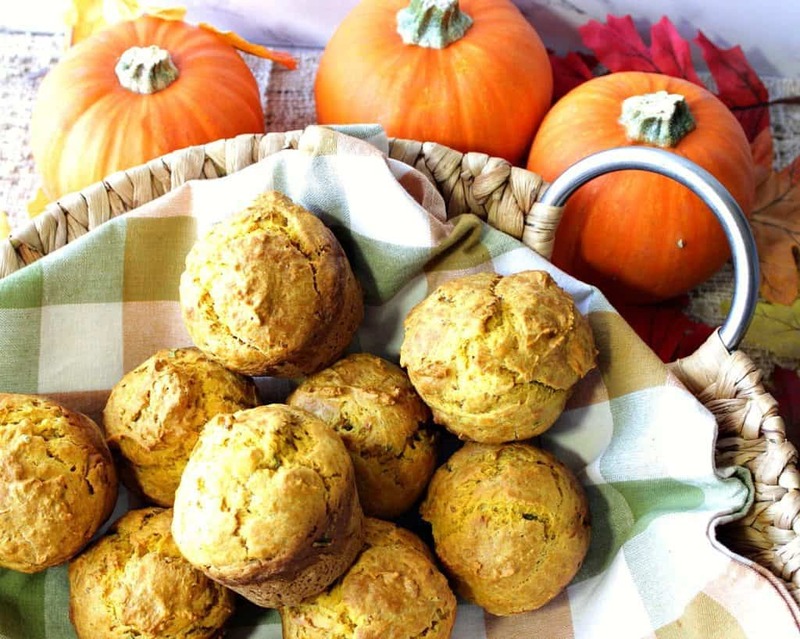 These pumpkin sage biscuits don’t require any special tools or kitchen equipment. A wooden spoon or spatula, a few bowls, a whisk, a muffin tin, and some non-stick cooking spray are basically all you’ll need to be successful. This recipe makes nine extra-large savory biscuits but doubling the recipe is easy and all you’ll need to do if nine biscuits aren’t enough. 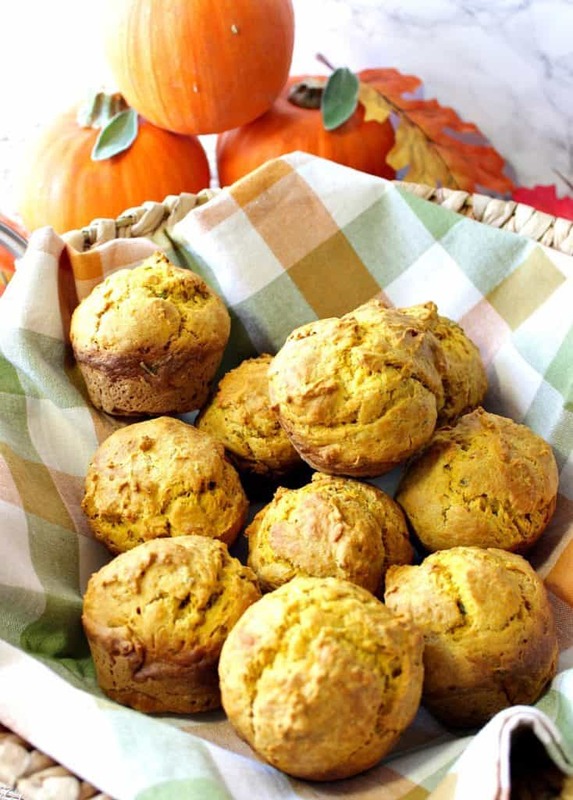 To make nine extra-large pumpkin sage biscuits you’ll need one cup of canned pumpkin puree, two and a half cups all-purpose flour, four teaspoons baking powder, one teaspoon salt, one and a half teaspoons of chopped fresh sage, four eggs, two tablespoons buttermilk, two cloves of garlic, and four tablespoons of melted butter. That’s it! How much easier can you get? 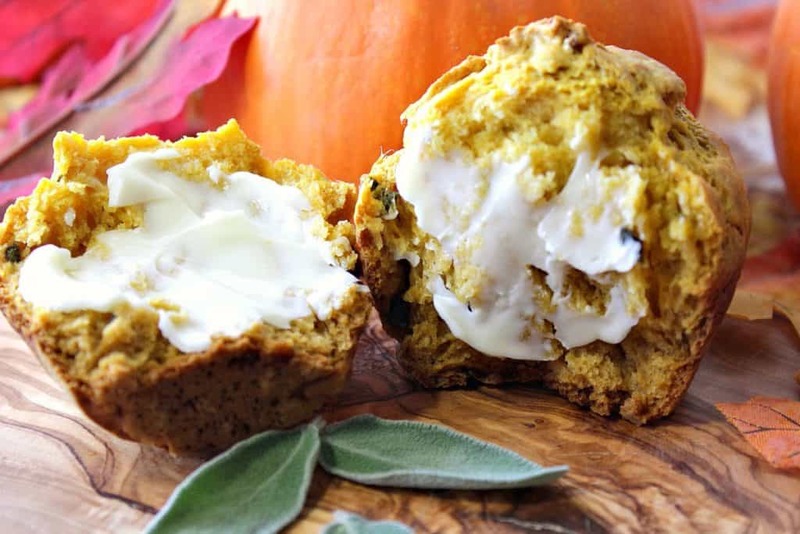 …buttermilk, pumpkin puree, sage, and garlic. Pour the wet ingredients into the dry ingredients and stir well to combine. Pour in the melted butter and mix. 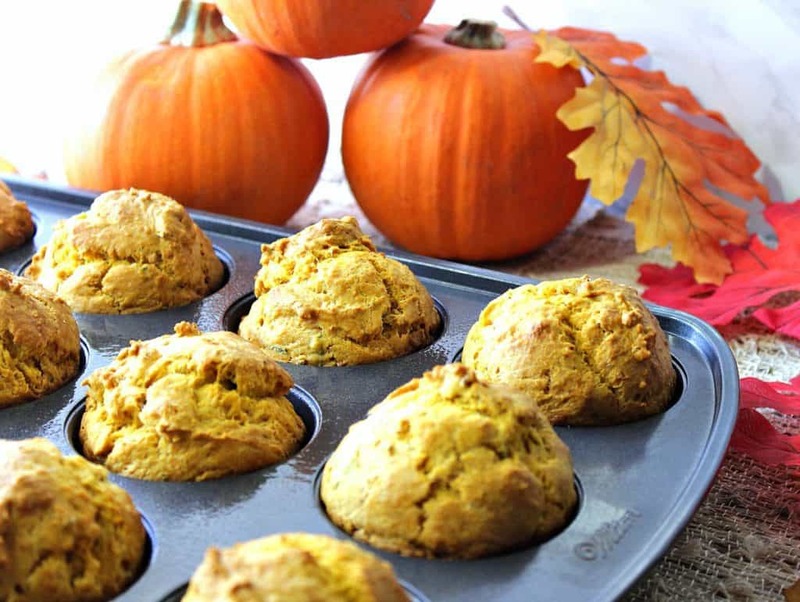 Scoop the biscuit batter into a muffin tin that has been sprayed liberally with non-stick spray. Bake the muffins in a preheated 350 degree oven for 20-22 minutes. 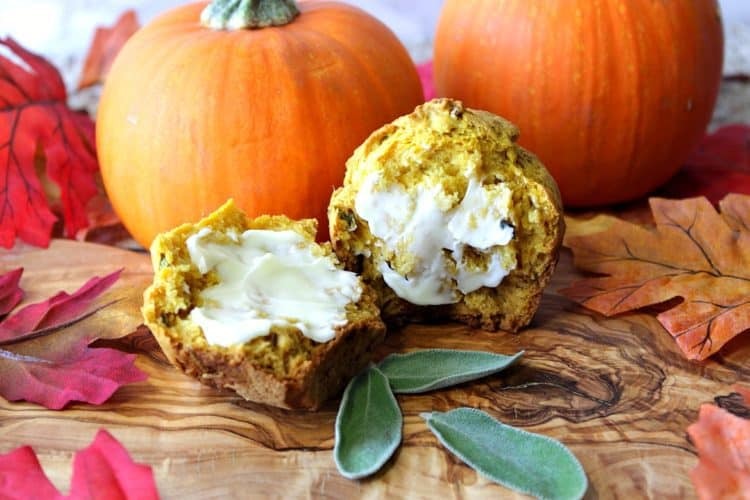 In a medium bowl, whisk together the eggs, pumpkin puree, buttermilk, garlic, and sage. Add the wet ingredients into the dry ingredients and stir well to combine. Stir the melted butter into the batter and mix. Scoop the batter by heaping tablespoons (or use an ice cream scoop) into a muffin tin that has been sprayed with non-stick spray. Bake the biscuits in a preheated oven for 20-22 minutes or until a toothpick inserted in the center of a muffin comes out clean. Cool for 5 minutes and remove the biscuits from the tin. Serve warm with butter and honey if desired. For 2017 there are 31 food blogger participants in this year’s #PumpkinWeek. 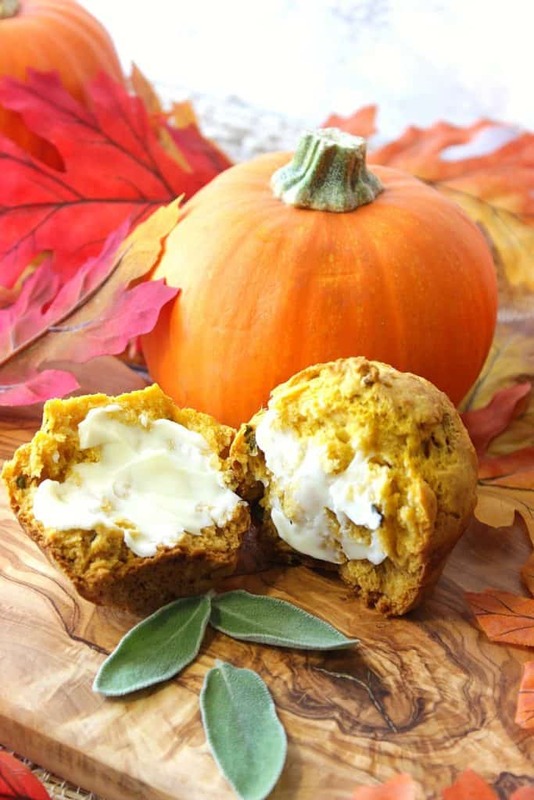 #PumpkinWeek is an annual celebration of all things pumpkin (sweet and savory) and is hosted by Terri Truscello Miller of Love and Confections . Thank you, Terri, for all your hard work in bringing this event together!! By clicking on the #PumpkinWeek recipe titles below you’ll be taken directly to the food bloggers site and their particular recipe. From there you can read all about it and get the full recipe and instructions. 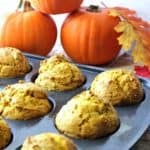 Have fun finding new pumpkin recipes you guys! Chicken and Pumpkin Curry from A Kitchen Hoor’s Adventures. Pumpkin Sausage Skillet Dinner from Cindy’s Recipes and Writings. Pumpkin Chocolate Chip Cookies from Amy’s Cooking Adventures. Pumpkin Cranberry Muffins with a Pecan Oat Crumble from Hezzi-D’s Books and Cooks. White Chocolate Pumpkin Biscotti from The Redhead Baker.I hope you’ve enjoyed all these #PumpkinWeek 2017 recipes as much as we’ve enjoyed bringing them to you. If you have any questions for me regarding this post or any other, please don’t hesitate to contact me directly or leave me a comment in the comment section below. Filing these away for a future Muffin Monday.